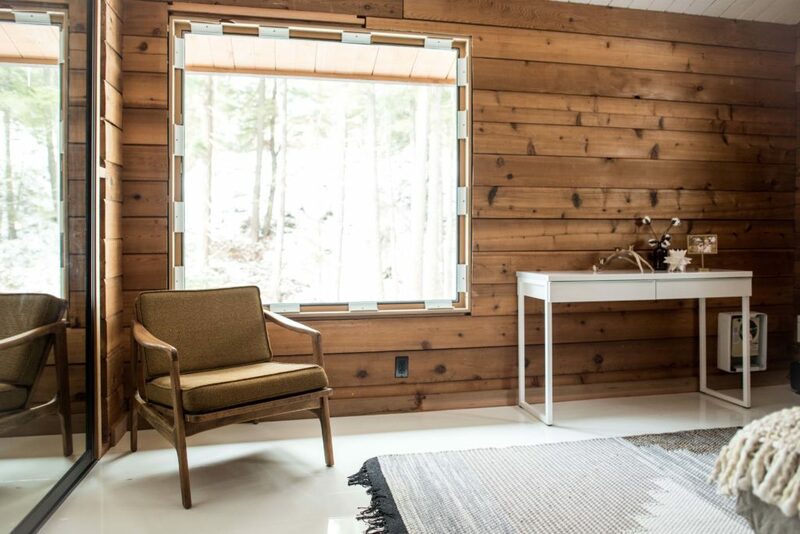 When two creatives approached Bestlaminate to help them with their 1970’s mountain cabin remodel in Cle Elum, Washington, it was an instant yes! 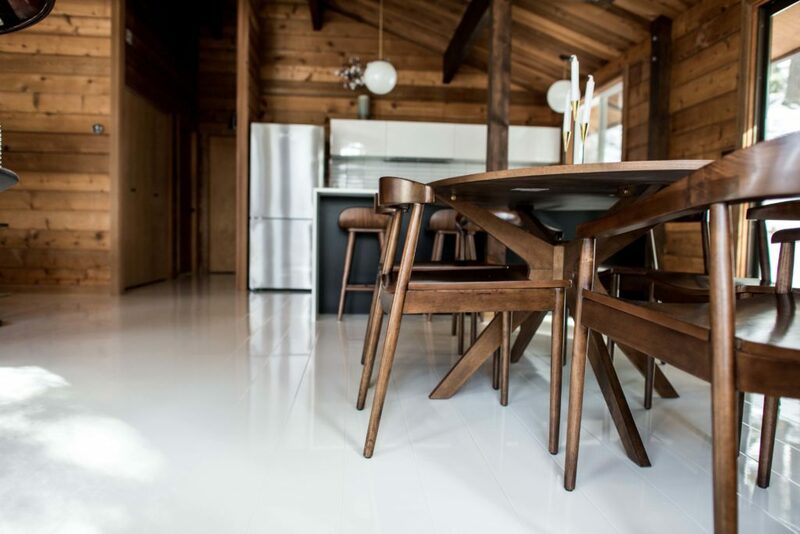 With a vision to create a modern space, while using the original architectural elements, a white high gloss laminate flooring was the perfect choice to let this cabin shine. 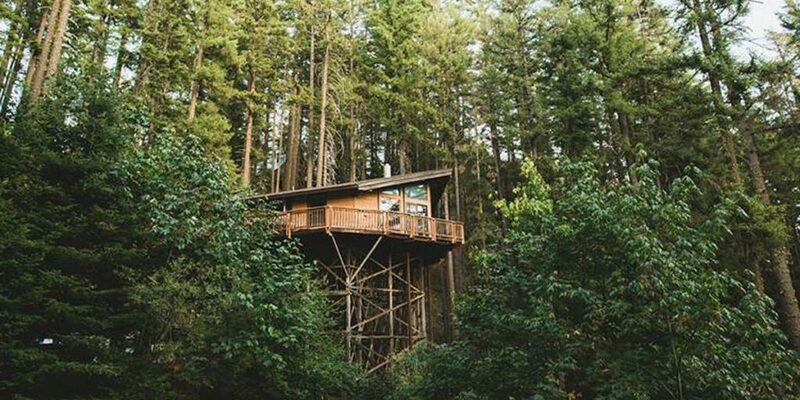 Yuriy and Julia Manchik bought “Timber Stilts“, a two bedroom, one bath cabin, as a vacation home fixer-upper. 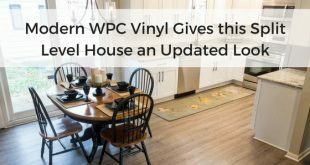 The couple loved many aspects of the home and wanted to keep as much of the original architecture as possible. 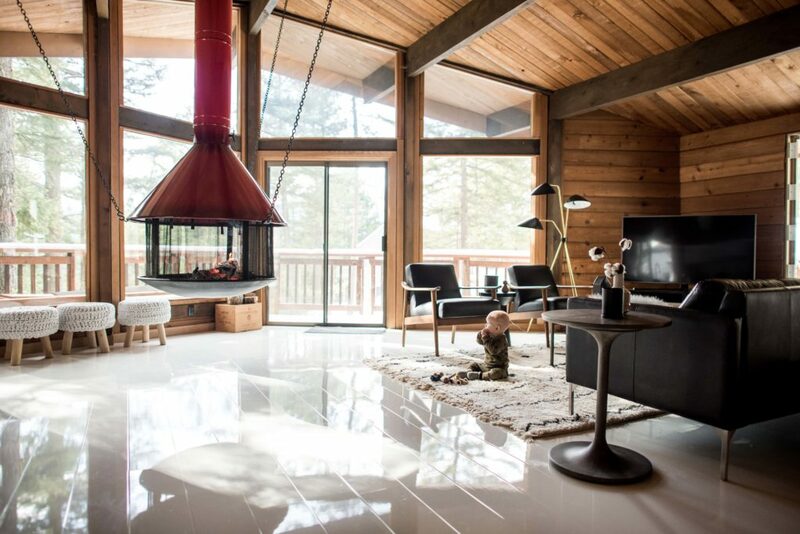 Their favorite element in the home was the suspended chimney that is the focal point of the open concept layout. The couple also wanted to highlight the beautiful woodwork and windows in the cabin. To extend the natural light throughout the whole space, they tore down the wall to the kitchen and opened up the main living space completely. 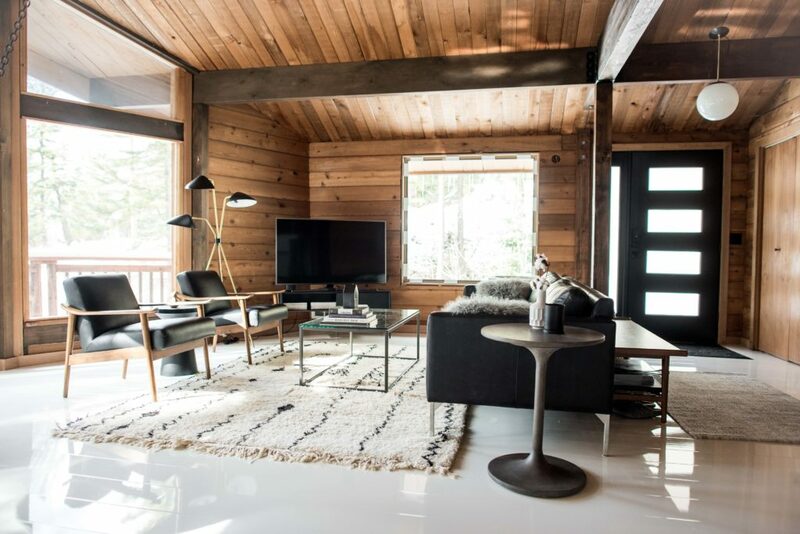 The interior design of the home is a minimal, Scandinavian design concept to modernize the space, but not overpower the architectural beauty of the cabin. 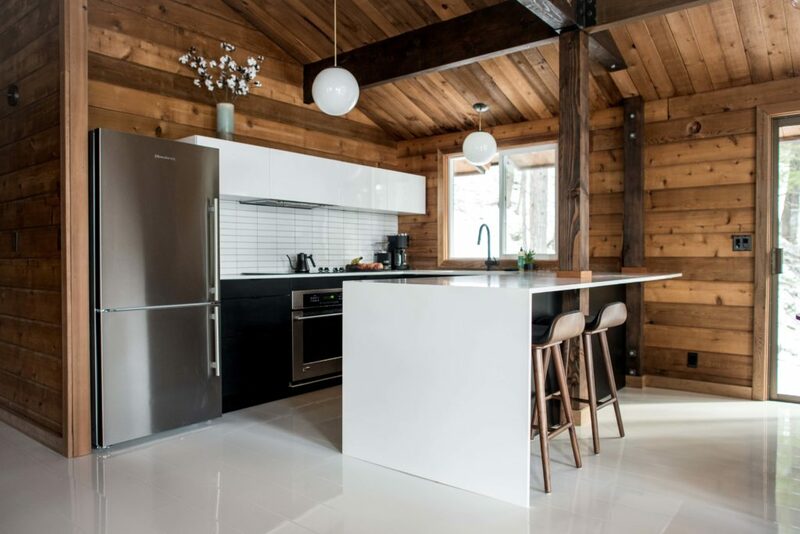 Yuriy and Julia used a white and black color scheme throughout the home, creating a winter cabin of their dreams! Julia decorated the home using clean lines, modern furniture and eye-catching light fixtures. To give the space warmth, she used fur pillows, shag rugs and accent materials that have texture. 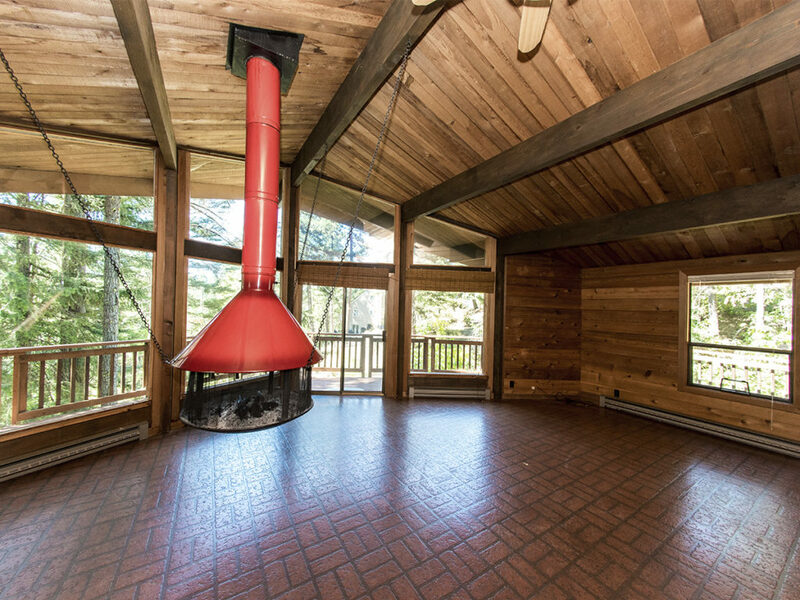 The cabin has two bedrooms, which feature the white high gloss laminate flooring. 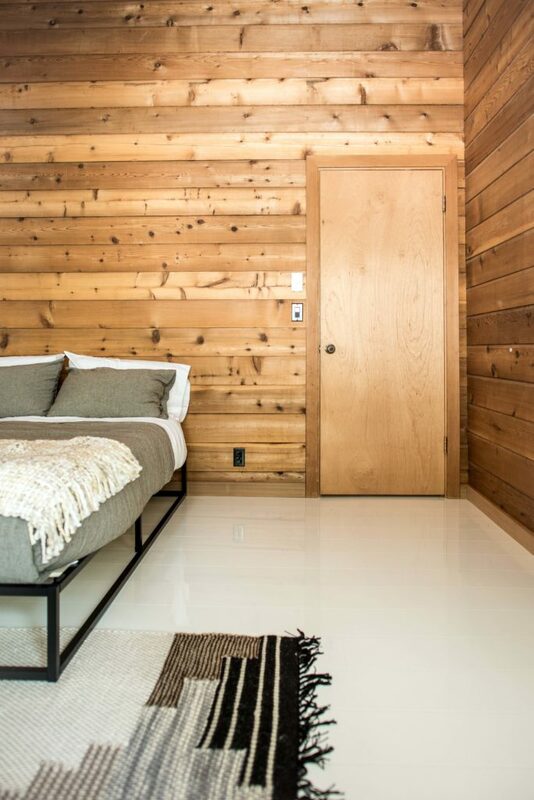 With wood paneled walls, the flooring helps add brightness and light to the rooms. Patterned rugs and mid-century modern furniture continue the minimalist feel. 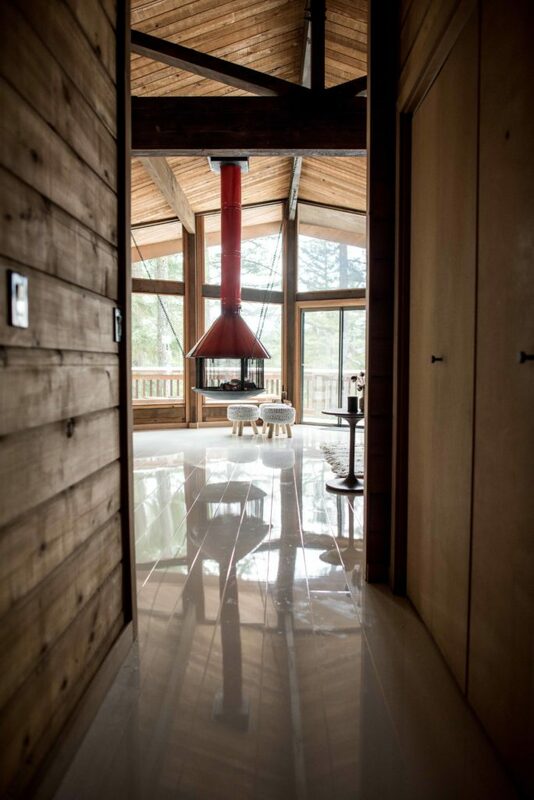 This final shot shows off the stunning architecture and dimension the high gloss flooring gives this mountain cabin. 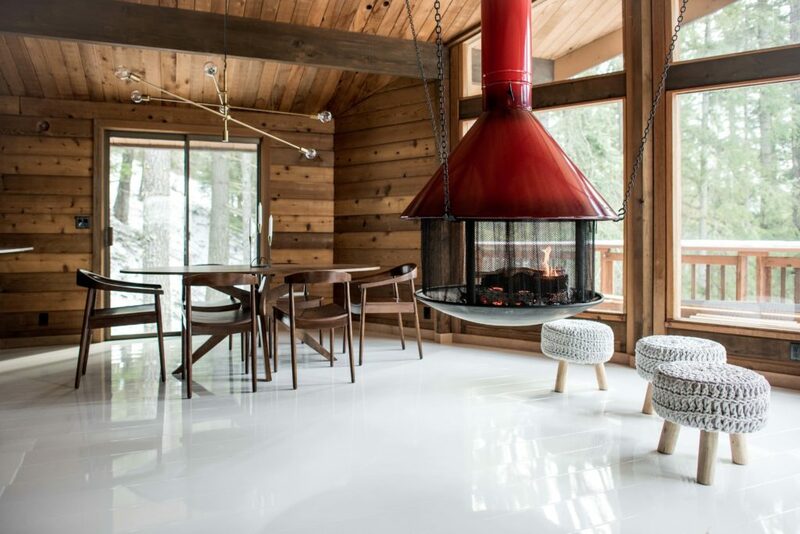 Are you loving the design of this mountain get-away? Shop our white flooring options and create the home of your dreams!